Firefighters are trying to determine the cause of a fast moving brush fire in eastern Ventura County. 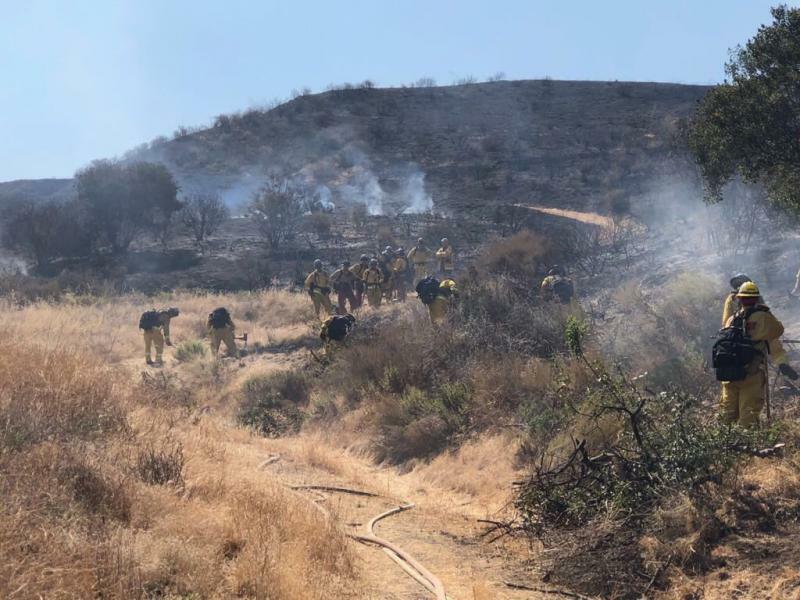 The fire was discovered just after 9 a.m. Wednesday, off of Tapo Canyon Road north of Simi Valley. The blazed moved quickly through brush in rugged terrain. Firefighters stopped the growth of the fire in less than two hours, and were focused on mopup work by midday. It charred just under ten acres of land. No structures were threatened. One firefighter was treated for heat exhaustion.